How will the Addictions Management Information System help me, as a Treatment Centre worker, to be more effective at my job and improve client outcomes? The AMIS enables Treatment Centres to view and analyse client data quickly and complete reporting more efficiently. It has features that allow individual treatment centres to meet multiple reporting requirements in a more streamlined way and allows you to track information that is important to you and your staff. It helps you to focus on outcomes monitoring and this means that it can be helpful in many accreditation requirements. In addition, the resulting information enables Treatment Centres to better understand and demonstrate a particular client need. This data informs decision-making about how to respond to this need by changing or improving the services offered or policies at the Treatment Centre level. Will the Addictions Management Information System be in line with the OCAP Principles? Efforts have been made from the beginning stages of this project by the AMIS Secretariat and the AMIS Working Group to engage with the First Nations Information Governance Centre (FNIGC) so that AMIS was created and implemented in line with the First Nations Principles of OCAP. The contractor eCentre Research respects the First Nations principles of Ownership, Control, Access, and Possession – which refers to a First Nations community’s (or treatment centre’s) relationship to their data. With respect to the AMIS, treatment centres and communities will own and have full control over how their data is used and who can access their data. During the development and implementation of AMIS, the data will be stored on the server of the contractor eCenter Research. Health Canada will ensure the safeguarding of this data by ensuring that the contractor and each of their personnel possess a valid security clearance. Health Canada’s regional and headquarters offices will only have access to aggregate level data for reporting purposes as is outlined in the Treatment Centres’ Contribution Agreements. Is it possible to move previous data into the new Addictions Management Information System? Yes, data migration from SAIS to AMIS is possible. It has been determined that the client information and reports are the key data items that need to be migrated. SAIS data migration took place in March 2014. Technology and data needs in the addictions field are constantly changing. Will the AMIS be able to evolve along with the needs of the field? The AMIS is structured in a way that allows evolution of the database in order to meet ongoing needs as they surface over time. Is our data secure on the web server? Yes, your data is secure. eCenter Research and iWeb (server host) have undergone extensive inspection by Public Works and Government Services Canada (PWGSC) to ensure that the facility and servers meet the security requirements necessary to store personal information. eCenter has confirmed that they adhere to Canada’s Personal Information Protection and Electronic Documents Act (PIPEDA), that they meet or exceed PIPEDA requirements, and that they meet or exceed the requirements within Ontario’s Personal Health Information Protection Act (PHIPA 2004) (which is the province in which the company is located). This applies to both eCenter Research and iWeb, the server hosts. eCenter Research is a business associate/provider to custodians providing software as a Service (SaaS) and responsible for notifying staff users/centres using the system of any breach in security related to server protection and data protection. Each centre is responsible for following provincial or federal laws regarding breach in privacy and requirements to inform individuals. eCenter Research provides gold standard security that exceeds current requirements for protection of personal/health information (Canada and USA) by using specialized techniques, including transparent encryption of data. This solution means that in the unlikely event of server theft and/or malicious unauthorized access to client data, it is not possible for anyone to read the content of the database. This level of protection is an additional assurance that client data can never be accessed without secure live login access to the AMIS system. Will training on AMIS be provided? These training modules will be permanently available for use; this means your Treatment Centre will not have to worry about staff turnover in positions that are using the data base. The online training can become a routine part of your staff orientation plan if you choose to use it that way. What resources will accompany the launch of the AMIS? AMIS is available to replace the Substance Abuse Information System (SAIS) at no cost to Treatment Centres. AMIS is a web based database that works easily with your existing technology equipped with Explorer 8 or later; Firefox; or Google Chrome. Training and support is provided through the contract with eCenter Research. Is it mandatory that my Treatment Centre use the AMIS? It’s not mandatory to use the AMIS; Treatment Centres can use an existing database or an in-house database to meet the reporting requirements as detailed within the Contribution Agreement. However, AMIS has been designed using feedback about how existing systems (like SAIS) could better meet our collective needs. The AMIS Working Group is confident that the use of AMIS will improve your work efficiency and help you to track trends and statistics that are important to you while at the same time contributing to accurate information about local, regional, and national trends. Is AMIS available in French? Yes, AMIS is available in French. What if my location or Treatment Centre is experiencing slow connectivity and slow page load when connecting to AMIS? Using a laptop computer that is connected by Wi-Fi (wireless connection) to your network, open up your internet browser and go to the website www.speedtest.net. Once you are on the website, click on the “begin test” button. This will automatically run a test on your download and upload speeds. Please write down the speed test results. Note that the minimum download speed should be 5mbps (megabytes per second) and the minimum upload speed should be 1mbps. IF your speeds are less than 5mbps download and 1mbps upload, continue and run the next test. Using a computer that is connected by wire to your network (an ethernet cable is usually a thick blue or grey cable), open up your internet browser and go to the website www.speedtest.net. Once you are on the website, click on the “begin test” button. Your download speed should be 5mbps or greater (megabits per second) and your upload speed should be 1mbps or greater. IF you are getting speeds less than 5mbps download and 1mbps upload from the Wi-Fi connected computer but getting higher speeds (greater the 5mbps download) from the wired computer, you may have a wireless router that cannot handle the speed or number of connections/bandwidth needed when all staff are accessing the Wi-Fi network. IF you are not getting a minimum download speed of 5mbps and minimum upload speed of 1mbps with either your wireless or wired computer connection to the internet, your internet service provider may be throttling (restricting) your access speed/bandwidth and as a result you are not receiving high speed internet. In this case it is suggested that you contact your internet provider or – if you are sharing the service with a school, health centre, or band council – contact them about this issue as they may have placed limits on the capacity of your access. More information can be found under “the basics” sections within the “support” section:https://support.speedtest.net/hc/en-us. Hopefully this will resolve any connectivity issues and facilitate the continuous use of AMIS. 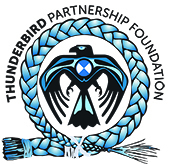 For more information on AMIS, please contact Sylvia St. George, AMIS Governance Coordinator, at sstgeorge@thunderbirdpf.org.